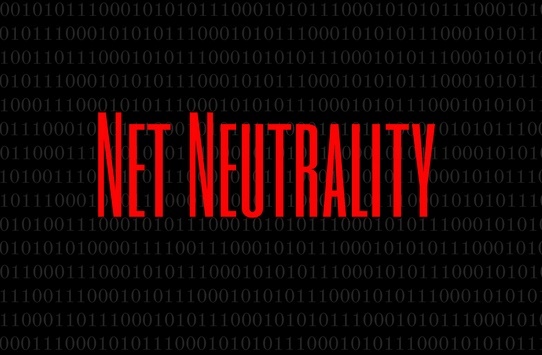 Home > News > Net neutrality: Boon or bane? This article is aimed to compare the pros and cons of Net Neutrality. Internet activists scored a landmark victory on Thursday as the top US telecommunications regulator approved a plan to govern broadband internet like a public utility. Earlier this year, Federal Communications Commission (FCC) had passed strict new rules that give the body its greatest power over the cable industry since the internet went mainstream. According to new FCC Rules, Broadband providers will be banned from creating so-called “fast lanes” blocking or slowing traffic online, and the regulator will oversee mobile broadband as well as cable. The FCC would also have the authority to challenge unforeseen barriers broadband providers might create as the internet develops. However, not everyone is happy with these new rules. This has led to Meme wars between the two sides of the debate, as internet advocates Fight for the Future, Demand Progress and Free Press flew an airplane towing a 2,000 square foot banner over the towering corporate headquarters of the cable giant Comcast, in Philadelphia. Republican Ajit Pai and fellow Republican FCC commissioner Mike O’Rielly, who have been consistent critics of the FCC’s new rules, said once they are published people will realise that they will stifle innovation and lead to taxes and increased rates for the public. The funnier side of Pai came into display when he invoked Star Wars’s evil galactic emperor in his attacks on new broadband regulations on Friday, warning that the public and Silicon Valley were in for an unpleasant surprise. The FCC on Thursday voted through strict new rules to regulate broadband and protect net neutrality – the principle that all information and services should have equal access to the internet. The historic vote was cheered by internet activists, President Barack Obama and many in the tech community. However, few people have seen the actual orders. On Friday the FCC was finalising its documentation for publication – it it is not expected to release the orders until next week at the very earliest. Pai and fellow Republican FCC commissioner Mike O’Rielly were consitent with their critism with Pai saying, “permission-less innovation is a thing of the past”. “When you see this document, it’s worse than you imagine,” said O’Rielly at a conference in Washington organised by the think tank TechFreedom. Refering to new rule where Internet service providers will not be allowed to “unreasonably interfere with or unreasonably disadvantage” consumers’ access to content and services, O’Rielly said this would mean that any company looking to start a new service would have to seek permission ahead of time. He said anybody looking for new business opportunities in the document would be best off becoming a “telecoms lawyer”. Republicans have long fought the FCC’s net neutrality protections, arguing the rules will create an unnecessary burden on business. They have accused Obama of bullying the regulator into the move in order to score political points, with conservative lawmakers and potential 2016 presidential candidates expected to keep the fight going well into that election campaign.Pai said the FCC was flip-flopping for “one reason and one reason only: president Obama told us to do so”. However, FCC chairman Tom Wheeler dismissed accusations of a “secret” plan as “nonsense”. “This is no more a plan to regulate the internet than the first amendment is a plan to regulate free speech,” Wheeler said. Christopher Mitchell, director of community broadband networks at the Institute for Local Self-Reliance, said Thursday’s vote could set “an historic precedent” that could “profoundly impact the lives of three-quarters of Americans who are without broadband or a choice in their service because of big cable underinvestment in their towns”.